Retraites Populaires will construct and fund the future building at Biopôle, in Epalinges. The two institutions have signed a contract. 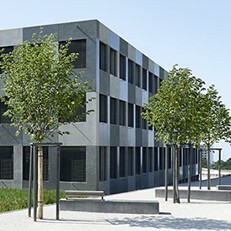 Lausanne, 18 October 2016 -­ As of 2018, a new building at Biopôle, in Epalinges, will meet the increasing demand for laboratory and office space. Retraites Populaires and the management of the life science park have signed a contract, appointing the retirement provision specialist from canton Vaud to construct and fund the future building. In exchange, Biopôle will grant Retraites Populaires a “right of use” (droit de superficie) on the plot of land for the new building.